Enjoy quality and easy to brew coffee with the Technivorm Moccamaster 59691 coffee machine. Designed to brew up to 10 delicious cups of coffee at a time, this is the perfect machine for any coffee lover. The Moccamaster offers three different settings which can be controlled via a toggle switch on the front of the brew basket, and which allows you to adjust just how fast you want your coffee to flow. You can choose to keep your coffee brewing for a more extended period, or you can manually close the brew basket while the brewer is still brewing to put a stop to the brewing process. 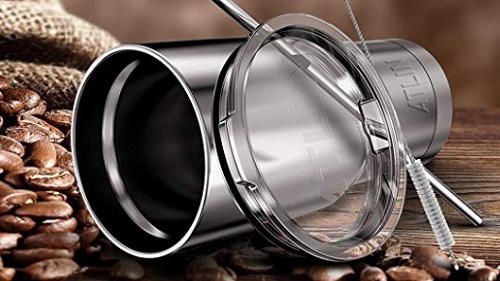 Designed with a 9-hole outlet arm which pulses water at a temperature of 196 degrees Fahrenheit to 205 degrees Fahrenheit, it helps to ensure an even extraction throughout the brewing process. This also leaves users with a smoother and more flavorful cup of coffee, starting from the very first sip to the very last. The integrated pre-immersion drip-style system also helps to create the perfect coffee blossom through an ultra-precise and natural pulse action. This particular brewing machine comes with a generous 40 ounce 10-cup, 1.25-liter water glass reservoir. You can add in the water, kick back and relax as the water bubbles over your coffee grounds for the next 4 to 6 minutes. Enjoy a controlled brewing temperature of 196 degrees Fahrenheit to 205 degrees Fahrenheit. The KB is designed with a unique copper boiling element which works to rapidly heat the water at a controlled temperature, which is a crucial step for the coffee soluble extraction process. Once the water reservoir has been emptied, the machine will automatically shut off to protect itself from any potential damage. This is an excellent feature because you won’t have to stress about remembering to turn off the switch after every brew and you don’t have to keep an eye on it at all times. 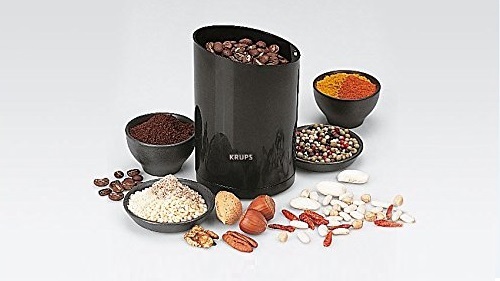 The KB offers a super simple brewing operation and a quiet brewing process. It can easily brew up to 10 cups in just 6 minutes. This is the perfect machine for any coffee lover’s household, and you won’t have to worry about the machine being too noisy and causing a disturbance in your home. Brew enough cups of coffee in one go for you and your loved ones! Enjoy delicious and heated coffee for hours after the brewing time. The KB comes equipped with a beautiful glass carafe which is set on a well-designed and independent hot plate which works to hold your coffee’s temperature between 175 to 185 degrees Fahrenheit. The coffee’s temperature is maintained for roughly around 100 minutes and then will automatically shut off afterward. You can quickly make numerous cups of coffee for your household and not have to worry about it getting cold after just an hour after brewing time. There will be no need to waste time on reheating your coffee. Just pour and go on with your day. The KB is designed with durable metal housing and has been certified as being BPA/BPS/BPF and Phthalate free. It weighs roughly about 6.10 pounds and is 14 inches in height, 12.75 inches in width and 6.50 inches in depth. It isn’t an entirely large machine, and it shouldn’t be a challenging task to find a perfect little spot for it on your kitchen counter. It has a rectangle shape design and comes with a voltage of 120 V and 1475 W.
The Moccamaster 59691 KB has been praised as a fantastic home brewer who can easily compete with its commercial counterparts. It’s simple, practical and up to the task when it comes to brewing up a delicious and well-extracted coffee. 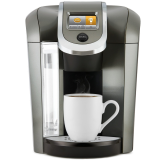 If you run a household full of coffee lovers, then this machine will be a favorite among you and your loved ones. 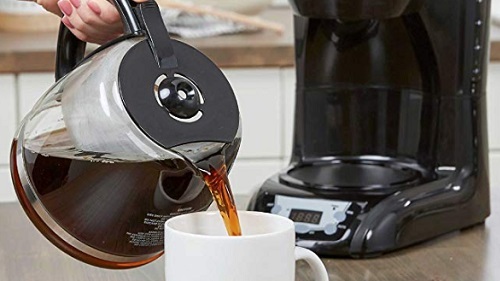 It can brew up to 10 cups of coffee at a time in just a matter of 6 minutes, and on top of that, it keeps your coffee warm and tasty for hours after the brewing has been done. The brewing machine has been said to have been made for years of service and takes very little to maintain. Simply wash it out with clean water and soap either by hand or in the dishwasher to keep it clean and working like new throughout the years! About Coffee Machines Coffeemakers or coffee machines are cooking appliances used to brew coffee.